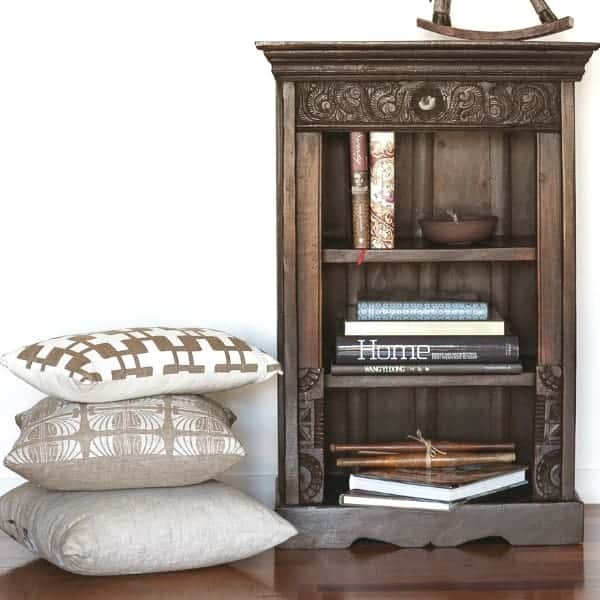 Handmade from hardwood this three-tiered bookshelf features stunning antique carved panels. 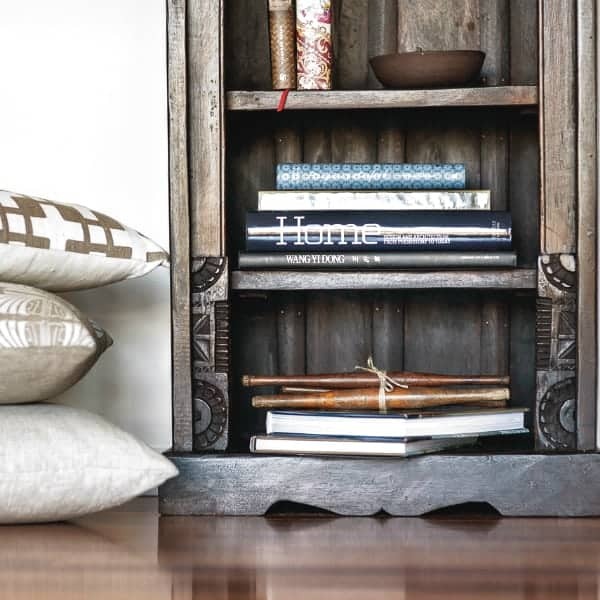 Given its size it would make an ideal feature in a child’s bedroom, small lounge or even filled with your favourite cookbooks in the kitchen. 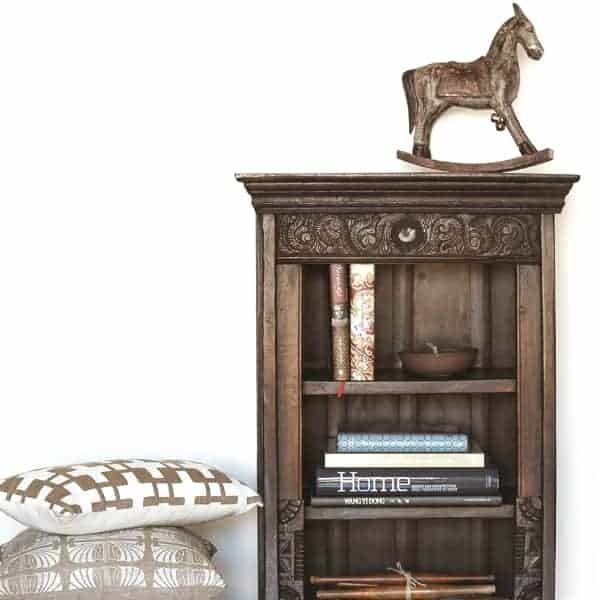 Small Indian hardwood bookshelf featuring antique carved panels.